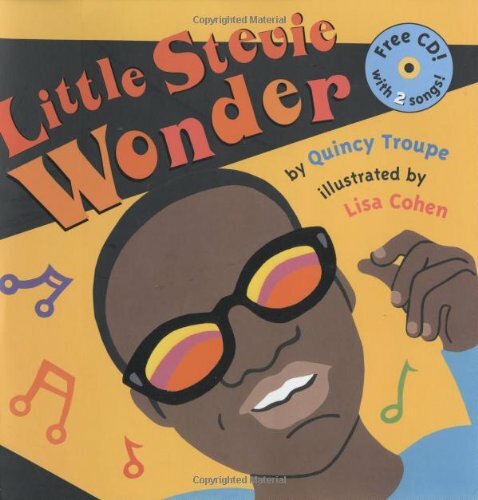 This week the rock n roll librarian does something a bit different we know you all will enjoy, she actually reads the amazing kid's book 'Little Stevie Wonder'. It is the true story of a boy who lost his sight shortly after birth, grew up in Detroit, Michigan, and became one of the twentieth century’s most creative and influential musicians—an instrumentalist, singer, songwriter, musical innovator, and cultural activist. As always -please subscribe, rate and review our podcasts in iTunes! Read over 30,000 articles on musical artists in all genres from rockabilly to hip hop by the finest music writers of the last 50 years on the Rock’s Backpages website. The collection is strong in publications from the UK, and also features almost 500 audio interviews. Full text, primary source, and fully searchable by artist, date, genre, keyword, etc. Go directly to http://www.rocksbackpages.com/ to read free articles. Or click on “subscribe now” then “Click here for academic and other group subscriptions” to find a list of libraries that subscribe. If your library subscribes (and you are a member) you can access the entire library of articles!